1. Find a local dentist. Having the right dentist who you like can set the tone for your helping to maintain your oral health. Search among local dentists to find one that you like and can see on a regular basis. 2. Contact potential dentists’ offices. Call the offices of dentists you may want to see and inquire if they are accepting new patients. If not, contact the next name on your list. 3. Schedule an appointment. Once you’ve located a dentist’s office with which you feel comfortable, schedule an appointment. This can help ensure that you go to the dentist and promote your oral health. 4. Provide a reason for your visit. Give the receptionist a brief description of why you are visiting. This can help her figure out if the dentist is right for you and how long of an appointment you will need. 5. Ask for a referral. If you cannot get an appointment with the dentist of your choice, inquire if she works with a partner or can refer you to someone else. Doctors often work with other doctors to help serve their patients. 6. Thank the staff. Make sure to thank you each office for its efforts to schedule an appointment for you. This may help you more easily get an appointment in the future. 7. Contact the referral dentist. If your first choice dentist’s office referred or recommended you to a colleague, contact her office. Nicely tell the receptionist that the other dentist’s office referred you and then inquire if her office has availability. 1. Arrive early. Make sure to get to your scheduled appointment early. This can give you time to fill out any necessary paperwork and provide information such as insurance details. 2. Communicate with your dentist. Good communication is the foundation of any doctor-patient relationship. 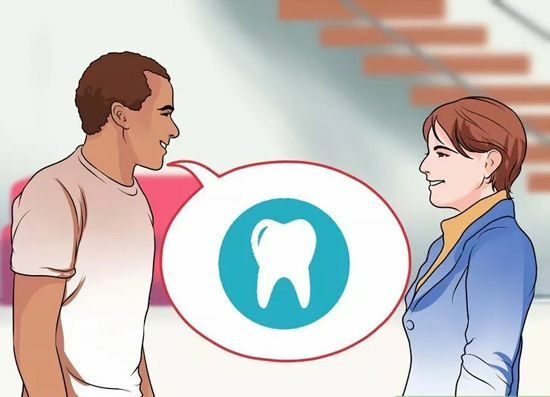 Talking to your dentist before, during, and after procedures can you understand what she is doing and also reduce any fear or anxiety you have. 3. Use relaxation techniques. You can have a more pleasant experience if you use relaxation techniques. There are different relaxation techniques such as breathing exercises to medication that can help you more easily get through your visit, especially if you fear going to the dentist. 4. Distract yourself during the visit. Many dentists now offer different media to distract patient during visits. Accepting the offer to distract yourself with music or television may relax you. 5. Take follow-up instructions. You will probably receive follow-up instructions from your dentist for things like additional procedures you need, cleaning instructions, or when to come for your next visit. Make sure to take this with you so that you don’t forget them and can follow your doctor’s orders. 6. Check out before leaving. When you’ve finished your visit and discussed the appointment and future plans with your dentist, check out with the receptionist. She can tell you if you owe any money and schedule future visits for you. 7. Visit your dentist regularly. Seeing your dentist for regular cleanings and checkups can minimize the risk of serious oral health conditions. Schedule appointments yearly or as often as your dentist suggests to promote your oral and overall well-being.